Namaste! In January, my "Village Square" was expanded beyond our usual Village Doctor network as I found myself at 18,000' in the Himalaya. Wow, indeed. But relevant to the reach of The Village Doctor, and beyond the usual "expedition physician" responsibilities, I also had the opportunity to help two fine causes. Without divulging too much (does HIPAA apply at 18,000 on the other side of the globe? 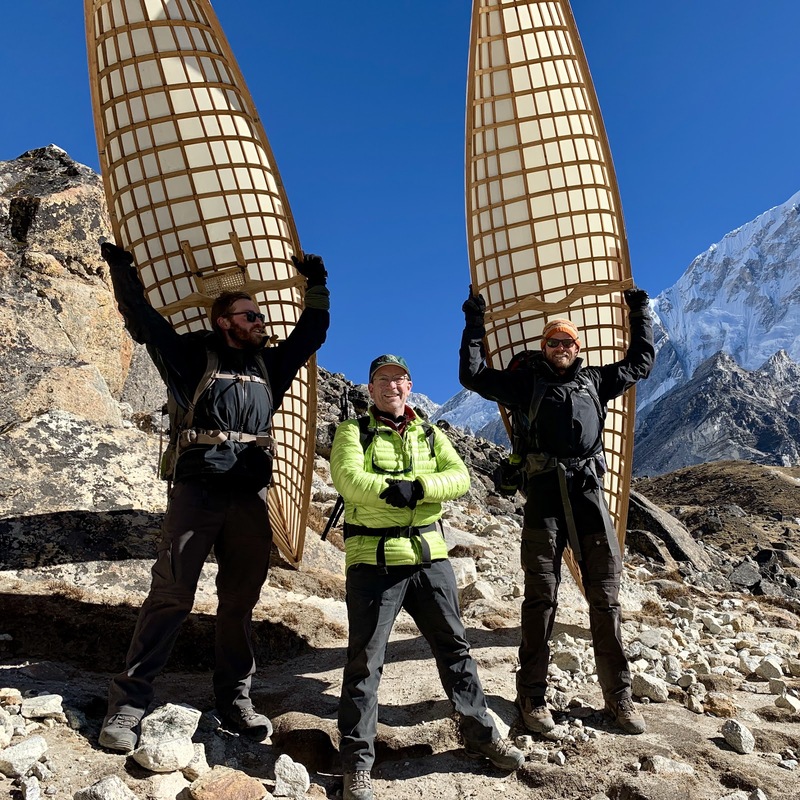 ), suffice it to say that my new friends, brothers Tom and Kyle of the nonprofit The Weight We Carry were in the need of a little medical support, which I was happy to provide, and they were each supporting a full-sized CANOE which was being portaged to Everest Base Camp in the interest of mental health services. Double wow (and enjoy the photo). 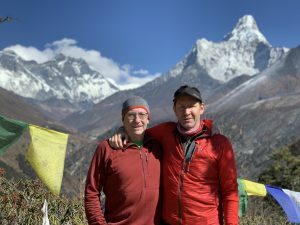 And, let me also give a shout out to my new trekking buddy, Brent Bishop, who in addition to being a very accomplished climber (and legend in the Khumbu region) is also on the Board of the Dzi Foundation, which works in partnership with remote communities in Nepal to create lasting improvements in their quality of life. It was truly an honor to learn more about this Foundation, to see the Kunde Hospital (12,600'! ), and to meet and get to know many of the local, and wonderful, Sherpa community. Please consider checking out their web page and mission, and sending them along some support, if you are so inclined. Namaste, indeed.